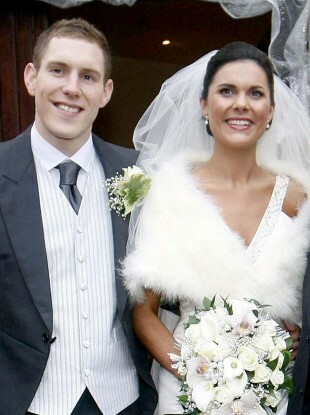 John and Michaela McAreavey on their wedding day. POLICE IN MAURITIUS have declined to confirm reports that they have identified a new suspect in the murder of Tyrone woman Michaela McAreavey nearly two years ago. Police have named a suspect in an interim report carried out by the Central Criminal Investigation Department with this report submitted to the public prosecutor, BBC News claims, citing reporter Yasine Mohabuth in the capital Port Louis. But a spokesperson for the Mauritian Police would not confirm this when contacted by TheJournal.ie saying only that a new inquiry into Michaela’s death had started and is ongoing. Michaela, the daughter of Tyrone football manager Mickey Harte, was strangled to death in the former Legends Hotel in January 2011 while on honeymoon with her husband John McAreavey. Two hotel workers – Sandip Moneea and Avinash Treebhoowoon – were acquitted of her murder following a trial earlier this year prompting a new investigation into her death. Email “Mauritian police won't confirm reports of new suspect in Michaela murder probe ”. Feedback on “Mauritian police won't confirm reports of new suspect in Michaela murder probe ”.